Authentic Mexican food is vibrant, delicious, fresh and fun. It is also colourful, spicy and uses chillies. 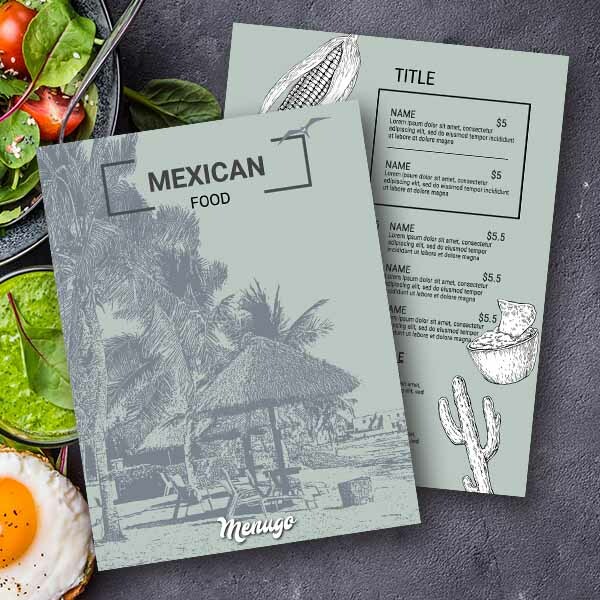 This menu looks very minimalistic and reminds us of how free and beauty Mexica can be. Feel this spirit of freedom and tequila!